The culture of s*xual harassment in Nigerian tertiary institutions has been allowed to go unchallenged to a point where randy lecturers boldly make s*xual demands from their students in exchange for marks. Apart from frequent strikes and cultism, s*xual harassment has been the most prominent issues on our campuses and sadly, it is not looking like it will stop anytime soon. Since January 2018, discussions about sexual harassment have been very loud thanks to recent s*x for mark scandals. Sadly, it seems punishment is not enough to stop these lecturers from s*xually harassing the young ladies, who are in the institutions to chase their dreams. Does anyone believe that despite the media reports and the disgrace that follows Professor Richard Akindele’s sexscapade with Monica Osagie in Obafemi Awolowo University, another Nigerian lecturer would not s*xually harass a student in the next 10 weeks? No. No one thinks so because lecturers who are s*xual predators are still everywhere. Students know them, their fellow lecturers know them, but no one is willing to expose except a few. As infamous as Akindele-Monica saga is, predatory lecturers are expected to take a cue from the embarrassment Prof Akindele suffered and stop making unwanted s*xual advances, but obviously, some of them have not learnt their lessons. 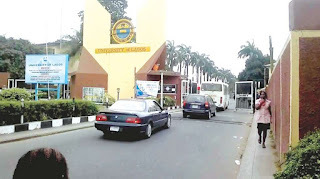 While UNILAG is still investigating the s*xual allegation Joy Nwana levied against Prof Olusegun Awonusi, a former Vice Chancellor of Tai Sholarin University of Education in Ogun State, LASU on the other hand has reportedly arrested Dr Odubunmi Sunkani for inviting a female student to his office on a Saturday to rewrite a paper she failed only for him to bolt his office door and put off his clothes. In 2001, the former President of Nigeria, Olusegun Obasanjo, who is now a lecturer at the National Open University (NOUN) described Nigerian University lecturers as unproductive pleasure seekers, who see the female students as s*x objects for self-gratification. There is a serious conspiracy of silence about s*xual harassment in the Nigerian academic environment. A lot of responsible lecturers can identify the bad ones among them, but they’ll rather look the other side than blow the whistle. Also, many students have chosen to be quiet about s*xual harassment because the university system seems to encourage it. For instance, while I was having a conversation with some female students about unwanted s*xual advances from lecturers, a teenage girl claimed she was s*xually harassed in UNILAG when she was in 100 level. She said the case was not reported because she was afraid of retaliation. Whatever makes a teenage girl arrive at that conclusion should give us a cause to worry about the sanity of the so-called lecturers and the safety of female students in Nigerian higher institutions. However, we will rather blame the student for not reporting the case than criticize the universities for not putting a mechanism in place to make it easy for s*xual harassment victims to come out. The sad truth here is that, as long as predatory lecturers are not kicked out and the responsible ones maintain a shameful silence this horrible trend will keep raising its ugly head. Until Nigerian universities make it easy for s*xual harassment victims to come out and tell their stories without intimidation and victimization, no student will come out to openly accuse s*xual molesters who parade themselves as lecturers. And until the old horny lecturers are properly dealt with, our higher institutions will not be safe for female students.